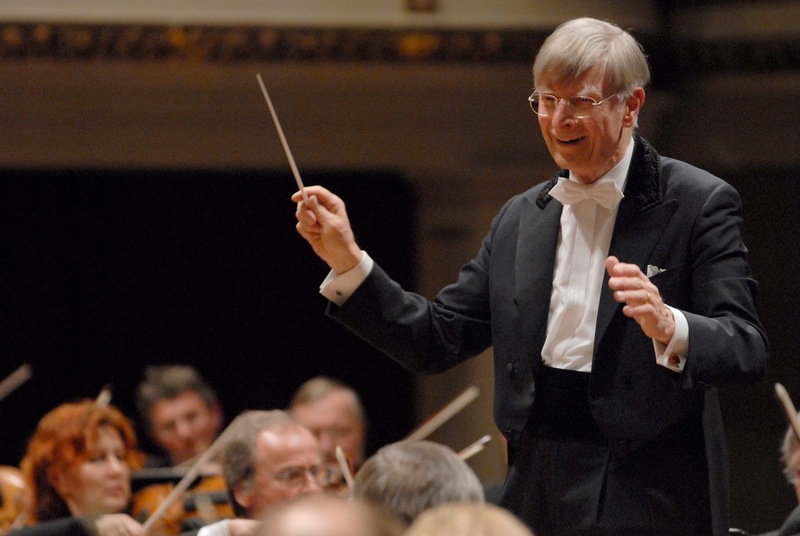 The 88 year old Swedish conductor Herbert Blomstedt will be returning to conduct the Philharmonia in Bruckner's Symphony No. 4 (24 April) at the Royal Festival Hall. The orchestra's Spring season also includes Edward Gardner (a mere stripling at 41) conducting Elgar's Symphony No. 2 (5 May), and Vladimir Ashkenazy (78 years old) continues his Rachmaninov Project with Symphony No. 3 (3 March) and Symphonic Dances (14 April). Jonathan Biss, who is is part of the way through recording Beethoven’s piano sonatas, will perform Beethoven’s First Piano Concerto with Jakub Hrůša conducting. The orchestra will be opening and closing the Yehudi Menuhin competition which, in Menuhin's centenary year, takes place in London. The Philharmonia opens the Competition on 7 April with former winners Tasmin Little, Jiafeng Chen, Rennosuke Fukuda and Ray Chen performing works connected with Menuhin , and the orchestra joins the Junior and Senior Competition winners for their debut concert performances in the closing Gala Concert on 17 April, with the 1995 winner Julia Fischer performing Bartók’s First Violin Concerto. The music of German composer Friedrich Goldmann (1941-2009) features in the next concert in the Philharmonia's Music of Today series of free concerts of contemporary music. Tito Ceccherini conducts Philharmonia players in Linie/Splitter 2 for clarinet, horn, accordion, violin, cello and piano, and Fast Erstarrte Unruhe 3 for ensemble. Full information from the South Bank Centre website.